Comfort and functionality in the next heating season, and immediate savings on heating costs. Using natural resources efficiently and consuming less. This is environmental protection in great style. With ÖkoFEN as innovative and reliable partner - only your imagination sets the limits to the possibilities. As one of the leading manufacturers of wood pellet heating systems, ÖkoFEN offers particularly economical and comfortable wood pellet boilers. 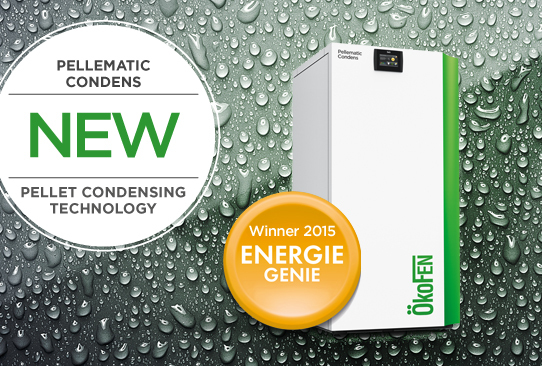 Especially the "Condens" technology, which is equipped with modern pellet boilers from ÖkoFEN, offers even more efficiency and thus less heating costs. 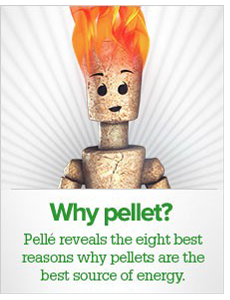 With a pellet boiler from ÖkoFEN you rely on environmentally and climate friendly wood pellets. ÖkoFEN pellet heating systems are suitable both for the new construction and for the renovation of large and small buildings. From a single family home to large commercial and public buildings, as a specialist for wood pellet boilers, we offer the right solution in the range of 6 to 256 kilowatts for every requirement. As a system manufacturer, we also offer solar systems and buffer tanks for the use of the free solar energy in combination with a pellet boiler. Hier finden Sie eine Übersicht aller ÖkoFEN Pelletheizungen. Lagerraum oder Gewebetank für Pellets? Hier erfahren Sie mehr. Lesen Sie mehr über mögliche Förderungen oder im Ratgeber! Fordern Sie hier Ihre individuelle Beratung & einen Produktkatalog an! The new dimension in pellet condensing technology. Compact boiler with buffer, heating circuit pumps and solar heater. The compact grand scale pellet boiler with high efficiency: 103,8%. The powerful pellet boiler for renovation projects and new buildings. Plenty of space for wood pellets. The solar collector for cost-conscious forward thinkers. Increases the efficiency of the heating system. Bryn Elltyd Eco Guesthouse in Snowdonia, Wales, won environmental prise for its 100% renewable energy supply. On-site energy comes from an 25kW OkoFen wood pellet boiler.